Kenneth (Kenny) Young is Chief Executive Officer for Babcock & Wilcox (B&W), a leader in energy and environmental products and services for power and industrial markets worldwide. Named to his position in November 2018, Mr. Young has 30 years of operational, executive and director experience primarily within the communications and finance industry. He has served as President of B. Riley Financial, Inc., and Chief Executive Officer for B. Riley Principal Investments, a wholly-owned subsidiary of B. Riley Financial. Before that, he served as President and Chief Operating Officer of the Americas at Lightbridge Communications Corporation (LCC) before being named President and CEO in 2008. He led the company through a significant turnaround culminating with the sale of the company to Tech Mahindra Limited for $240 million in 2015. During his tenure as CEO, Mr. Young increased LCC’s size and presence through five key acquisitions, led a series of investments in new technologies and service expansions, and led three significant re-capitalizations. Prior to joining LCC, Mr. Young was Chief Marketing and Operations Officer with Liberty Media’s TruePosition and held various senior executive positions with multiple corporations, including Cingular Wireless, SBC Wireless, Southwestern Bell Telephone and AT&T as part of his 16-year tenure within the now combined AT&T Corporation. Mr. Young holds a bachelor of science degree in computer science from Graceland University and holds master’s of business administration from the University of Southern Illinois. He is a member of the Board of Directors for Globalstar, Inc., Orion Energy Systems, Inc., bebe stores, inc., and Liberty Tax, Inc.
Henry E. Bartoli serves on the Board of Directors for Babcock & Wilcox (B&W), which is a leader in energy and environment products and services for power and industrial markets worldwide. A seasoned executive with more than 35 years of experience in the global power industry, he served as President and Chief Executive Officer of Hitachi Power Systems America, LTD from 2004 to 2014. From 2002 to 2004, he was Executive Vice President of The Shaw Group, after serving in a number of senior leadership roles at Foster Wheeler Ltd. from 1992 to 2002, including Group Executive and Corporate Senior Vice President, Energy Equipment Group, and Group Executive and Corporate Vice President and Group Executive, Foster Wheeler Power Systems Group. Before that, from 1971 to 1992, he served in a number of positions of increasing importance at Burns and Roe Enterprises, Inc. He earned a bachelor’s degree in mechanical engineering from Rutgers University, and a master’s in mechanical engineering from New Jersey Institute of Technology. Robert Caruso is Chief Implementation Officer at Babcock & Wilcox and works closely with the company’s executive leadership team to review financial and operational strategies, and revenue and profitability enhancement opportunities. A Managing Director with Alvarez & Marsal (A&M), he co-leads A&M's Central Region North American Commercial Restructuring (NACR) practice. He also is a member of NACR's Executive Committee. Caruso has more than 25 years’ experience working across a wide range of industries, including extensive experience advising management teams, boards and others on financial and operational restructuring and enhancement opportunities. Before joining A&M, Caruso was a senior managing director with the corporate finance / restructuring practice of FTI Consulting in Chicago. Prior to that, he was a partner with PricewaterhouseCoopers and a managing director with the corporate recovery services practice of KPMG. He also served as an audit manager with KPMG, advising clients in the manufacturing and insurance industries. He earned a bachelor's degree in accountancy from the University of Illinois at Urbana. Louis Salamone Jr. is Chief Financial Officer for Babcock & Wilcox (B&W), a leader in energy and environmental products and services for power and industrial markets worldwide. 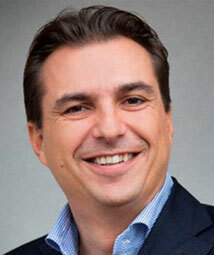 Salamone, who joined B&W in November 2018 as Executive Vice President of Finance, has more than 25 years of experience as a chief financial officer of diversified public companies such as Nextel Communications, Applied Graphics Technologies and LCC International, Inc.; as well as with private equity-backed companies such as USi, GXS and CityMD. Before joining B&W, Mr. Salamone served as non-executive Managing General Partner for MDx Diagnostics LLC, a medical devices provider. Before that, he served as Chief Financial Officer for CityMD from 2013 to 2017. He also served as Vice President and Chief Financial Officer of OpenPeak Inc. from 2009 to 2013, and Executive Vice President & Chief Financial Officer of LCC International, Inc. from 2006 to 2009. Prior to that, from 1993 to 2006, Mr. Salamone held various key executive positions with GXS, USinternetworking, Inc., Applied Graphics Technologies and Nextel Communications. He also was previously a partner at Deloitte & Touche. Mr. Salamone holds a bachelor of arts degree from Franklin & Marshall College, has successfully completed the Executive Program for Entrepreneurial Businesses at Stanford University and is a Certified Public Accountant. Koen Bogers was named managing director of B&W Vølund in January 2018. Prior to that, Bogers served as senior executive vice president of Siemens Building Technologies’ Middle East Division, located in Dubai. 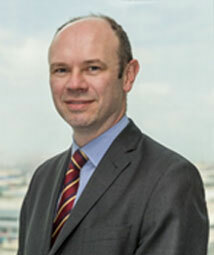 He joined Siemens in 1996, serving in positions of increasing responsibility including project management positions in the Power Generation and Oil & Gas divisions and managing director positions in the Industry Solutions and Building Technologies divisions of Siemens Netherlands. He was named to lead Siemens’ Building Technologies Middle East Division in 2015. He holds a master’s in business economics from Erasmus University Rotterdam, as well as a master’s in electrical engineering from the Technical University Delft. Alberto Galantini was named managing director of B&W SPIG in February 2018. Prior to joining B&W, Galantini had served as President and Chief Executive Officer of GE Grid Solutions in Milan, Italy, since 2016. Before that, he was President and Chief Executive Officer of GE Grid Solutions Noventa di Piave, and served as Chief Executive Officer and Managing Director of its predecessor, Alstom Grid Italy, since 2010. From 2008 to 2010, Galantini served as Sales and Marketing Director for SIPA-Zoppas Industries. Before that, he held positions of increasing responsibility with SIPA, ABB Power Group, Danieli & C Buttrio, and Radici Group. André Hall is Senior Vice President, General Counsel and Corporate Secretary for Babcock & Wilcox (B&W), which is a leader in energy and environmental products and services for power and industrial markets worldwide. From August 2013 to March 2015, Hall served as Assistant General Counsel, Transactions and Compliance, responsible for corporate legal activities relating to global compliance, international trade compliance and mergers and acquisitions. He has more than 20 years of legal experience in the aerospace, defense and chemical industries. His diverse legal background includes mergers and acquisitions, ethics and compliance, products liability litigation and international business transactions. Prior to joining B&W, Hall served as Global Business Practices & Compliance Officer for UTC Aerospace Systems, following United Technologies’ acquisition of Charlotte-based Goodrich Corporation. From 2000 to 2013, he held several roles of increasing responsibility at Goodrich, including serving as Goodrich’s Vice President of Business Conduct and Chief Ethics Officer. He received his undergraduate degree from Furman University and his law degree from the University of North Carolina at Chapel Hill School of Law. Jimmy Morgan is Senior Vice President of The Babcock & Wilcox Company (B&W), a leader in energy and environmental products and services for power and industrial markets worldwide. Named to this position in January 2019, Morgan leads B&W’s aftermarket, new-build and environmental products and services businesses for the worldwide coal and gas markets. He also is responsible for B&W’s global licensing activities. From December 2016 through January 2019, Morgan led the company’s renewable energy business, including its Babcock & Wilcox Vølund subsidiary and its operations and maintenance services businesses. Prior to that, Morgan was Senior Vice President of Operations, responsible for B&W’s Global Manufacturing, Global Supply Chain Management, Quality, Facility Services, and Environmental, Health, Safety & Security functions. He also was responsible for Babcock & Wilcox Construction Co., LLC. Morgan has been in the global energy and construction industry for more than 25 years, and has considerable large project management, operations and construction experience. He joined B&W in February 2016 as Vice President and General Manager, Babcock & Wilcox Construction Co., LLC., serving in that position until he was named Vice President, Operations, in May 2016 and Senior Vice President of Operations in August 2016. 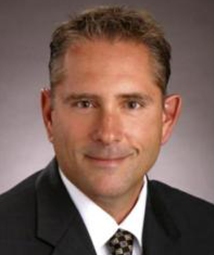 Before joining B&W, he was Executive Vice President for Allied Technical Resources, Inc. Previous positions included serving as Chief Operating Officer with BHI Energy, Vice President of Installation and Modification Services with Westinghouse and as Managing Director for AREVA T&D. He began his career with Duke Energy. He has a bachelor’s degree in electrical and computer engineering from the University of South Carolina, and a master’s of business administration degree from the Darla Moore School of Business at the University of South Carolina. Matthew E. Avril serves on the Board of Directors for Babcock & Wilcox (B&W), which is a leader in energy and environment products and services for power and industrial markets worldwide. He is a member of the strategic advisory board of Vintage Capital Management, a private-equity investment organization specializing in the defense, manufacturing and consumer sectors. Mr. Avril has served and currently serves on the Board of Directors of both publicly and privately held entities. He served as Chief Executive Officer of Diamond Resorts International, Inc., from November 2016 to March 2017. Before that, he was Chief Executive Officer-elect for Vistana Signature Experiences, Inc., from February to November 2015, after his retirement as President, Hotel Group, for Starwood Hotels & Resorts Worldwide, Inc. – a position he held from 2008 to 2012. Before that, from 2002 to 2008, he served in a number of executive leadership positions with Starwood, and from 1989 to 1998, held various senior leadership positions with Vistana. He earned a bachelor’s degree in accounting from the University of Miami and is a Certified Public Accountant (inactive) in the state of Florida. Thomas A. Christopher serves on the Board of Directors for Babcock & Wilcox (B&W), which is a leader in energy and environmental products and services for power and industrial markets worldwide. He most recently served as Vice Chairman of AREVA NP Inc., and from 2000 to 2009, served as its President and Chief Executive Officer. From 1973 to 2000, he held positions of increasing responsibility with Westinghouse, including serving as the Vice President and General Manager of Siemens/Westinghouse Power Services Divisions. He spent six years with the U.S. Navy in the nuclear submarine force, holding the naval reactors engineer certification as a lieutenant. Christopher earned a bachelor's degree from the U.S. Naval Academy, a master's degree from the Georgia Institute of Technology and a master of business administration degree from the University of Pittsburgh. He also served on the Nuclear Energy Institute's Board of Directors from 2000 to 2008. Cynthia S. Dubin serves on the Board of Directors for Babcock & Wilcox (B&W), which is a leader in energy and environmental products and services for power and industrial markets worldwide. She is Finance Director for JKX Oil & Gas plc., a Main Board London Stock Exchange-listed oil and gas exploration, development and production company that is the most experienced western operator in Ukraine and an early mover into the independent gas sector in Russia. Prior to joining JKX Oil & Gas, Dubin was co-founder and Chief Financial Officer of Canamens, a start-up oil and gas company with assets in the North Sea, North Africa and the Caspian areas, serving in this role from 2006 to 2011. Dubin began her career in the banking industry in New York specializing in advising and lending to large energy projects. In 1992, she relocated to London, and from 1993-2005, held positions with Edison Mission Energy, a premier U.S.-owned electric power generator that developed, acquired, financed, owned and operated reliable and efficient power systems for international markets. She became Vice President and Finance Director for the company’s Europe, Middle East and Africa Operations in 1998. Dubin earned a bachelor’s degree in finance and economics from Georgetown University and completed a comparative business program at Oxford University. Brian R. Kahn serves on the Board of Directors for Babcock & Wilcox (B&W), which is a leader in energy and environmental products and services for power and industrial markets worldwide. He is the founder and managing partner of Vintage Capital Management, a private-equity investment organization specializing in the defense, manufacturing and consumer sectors. Mr. Kahn is responsible for all aspects of Vintage Capital Management’s transaction sourcing, due diligence and execution. He previously was Chairman of the Board of Directors of White Electronic Designs Corporation and API Technologies Corp. He also has served as a Director with a number of other companies including Aaron’s, Inc., Integral Systems, and Buddy’s Home Furnishings. He began his career with Fidelity Investments, and earned a bachelor’s degree in economics from Harvard University. Anne R. Pramaggiore serves on the Board of Directors for Babcock & Wilcox (B&W), which is a leader in energy and environmental products and services for power and industrial markets worldwide. She is President and Chief Executive Officer of ComEd, an electric utility company delivering electricity to 3.8 million customers in Chicago and Northern Illinois. In 2009, Pramaggiore was appointed as ComEd’s Chief Operating Officer and became responsible for overseeing day-to-day operations on the electric grid and in customer operations. In that role, she led the company’s effort to set the legislative framework for ComEd’s smart grid build-out, a leading model nationally for modernizing one of the largest utility systems in the country. Pramaggiore was promoted to her current position in February 2012. She is the first female to hold the post of President and Chief Executive Officer at the electric utility. In addition to her service on the B&W Board of Directors, Pramaggiore also serves as a board member of Chicago Federal Reserve Board, Motorola Solutions, Inc., and several civic and community organizations. Kenneth Siegel has served as President of Diamond Resorts International, Inc. since March 2017, and is a member of its Board of Directors. Prior to that, he was Chief Administrative Officer and General Counsel of Starwood Hotels & Resorts, where he played a pivotal role in its emergence as an industry leader prior to its acquisition by Marriott International, Inc. in 2016.